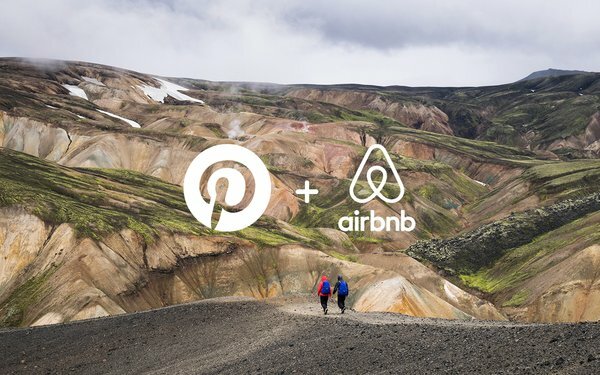 Pinterest and Airbnb teamed up this year to take visitors to the site on a virtual trip that provides recommendations for destinations and where to stay. This year, nature continues to inspire Pinterest users to get outside following heavy rains and snowy conditions, specifically across the United States. And if that’s not enough inspiration, consider the millions of painted lady butterflies migrating across Southern California. Searches for “nature travel” rose 88% in January 2019, compared with the year-ago month. The top trends related to Airbnb point to forest bathing, the experience of being around lots of trees to reduce anxiety and boost the immune system. On the Pinterest and Airbnb travel guide, visitors will find tips to unplug, what to bring on hikes, how to meditate, and more. With all the chaos in the world, those searching for a vacation want a calm and peaceful experience. Airbnb’s top searches on its site related to nature rose 59%, compared with the prior year. Meditation rose by 367%, and hiking rose by 655%, respectively. On Airbnb Host, the top three experiences include Time Trek Howth in Dublin, Ireland; Forest Bathing in Bellevue, Washington;; and Fortress Night Hike & Taste of Tradition in Seoul, South Korea. The data is based on Airbnb internal data for year-over-year growth for bookings made between March 1, 2018 and March 1, 2019. Searches for places to stay in include yurts, a circular tent with a collapsible framework used by nomads in Mongolia, Siberia, and Turkey. They have become more popular, such as the one in Bellecombe-en-Bauges, Rhone-Alpes in France. At $59 for one night, The 36th Street Urban Yurt, in Large Garden Oasis in Boise, Idaho, in the past week has been viewed more than 500 times. The Raglan, Waikato Yurt in New Zealand has been viewed about 165 times in the past week. The stars and space travel have become popular, too. Searches for space travel rose 70% on Pinterest, compared with the year-ago month. Now there are nearly 3,000 homes equipped with telescopes and unique astro Experiences on Airbnb. Ruel retreats like Geodesic Dome near World Biosphere Reserve, Off the Grid and 40 Feet Up!, Skywatch Observatories Dome Stays, Stargazer in Country Garden are highly recommended by those who have stayed there in the past. People are searching for experiences such as Shoot the Moon in Santa Monica, California and cave diving. Adventure travel is continuing to rise on Pinterest, with searches rising more than 693%.